Now the SAD PART Its a fully ONLINE Game.i have managed to modified the values but they stores online. 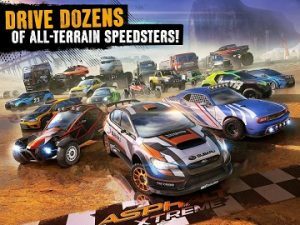 Asphalt Xtreme MOD APK is an Off-Road Android Racing game which is spin off from the Asphalt series.Well waiting for release dates? you don’t have to because i have got this game for you on Andropalace.Currently only available for selected users and for all other users its available for pre-registration but here you can play easily from anywhere to everywhere.Recent version is 1.4.0 grab it now before your friends does. 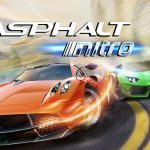 Asphalt series has been in a lime light since Asphalt 1 arrived for Java devices.Since then until now this series has got millions of FANS worldwide.and of course they are increasing in numbers day by day. Before the Asphalt series was the premium series until asphalt 7 then from Asphalt 8 they bring their game freemium category.and i think in near future all their games will be online as well.Right now we got our hands on Asphalt Xtreme MOD and i’m surprise to see they bring off-road race to Android.its a big turn in Asphalt series. Well if you are thinking its Asphalt 9 then wait its not the game you are waiting for.its Asphalt Xtreme with OffRoad Racing game.or you can call it monster truck racing just came to our beloved Android OS.its a Gameloft who is behind this game so you might understand what will happen? updates will be coming regularly but game will requires so much of IAPS to unlock the game fast and easy or you will have to grind your self to death to complete the game. Game does looks really good at the starting i am being taught to drive a giant off road car and how to drop the nitro at time.and you can drift as well.controls are really good and game runs smoothly on my 3 GB RAM Octa Core device.i must say this Asphalt Xtreme APK will do something big like Asphalt 8 but only future will answer it.hope you will like this addicted game. 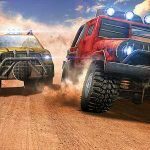 Game Asphalt Xtreme MOD APK has of beautiful graphics and MAPS are great as well.Gameloft is master in creating games based on Racing. 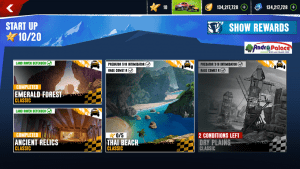 There are some features which you have seen in Asphalt 8 like Events to participate,PVP to fight with other players online and Car customization of course.there are various parts to upgrade and tune up your car. 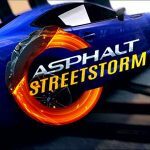 3)Now Start installing Asphalt Xtreme from play store and when download starts cancel it.now you have the license. 4)Now come back and use our uploaded APK+DATA Files.game will work fine. Rg please update it to 1.7.0g . There’s no unlimited money and stars, i cant buy cars……!! Rg plss can you help me with this, how to fix this ???? Help pls RG or anyone. No unlocked cars in mod this time? Okay, I have two problem with the modded apk. When I start the game, it get stuck into the age and gender page, and if I click the “Accept” button nothing happens. But one time it goes forward that page (I don’t know why) and it unlock all things. But of course I could not be so lucky, and, after unlocking all the series, the game crashed. How can I fix? online user profil loaded. game need to restrart. It is true. 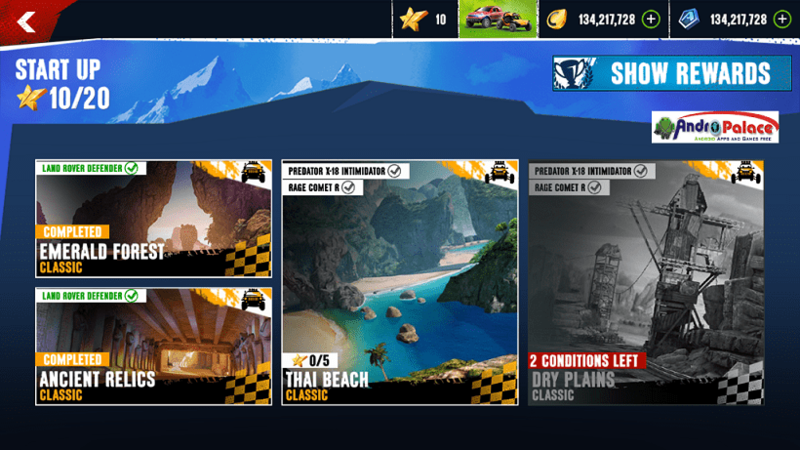 Asphalt8 offline and goos working with some track about 30% avaible for me all other need internet…not working. 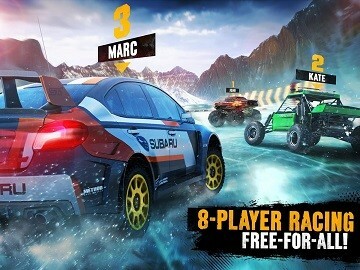 This is ONLINE and GAMELOFT game so do not expect any mod.. just play with Normal APK. Please write me what mean this “clear cash and data” thank you! Not working for me as well. I logged in to my Facebook account with some progress in the career mode. I can see that all the cars and the series are unlocked but when I start any career race, it says “Online user profile loaded. Game needs to restart” as soon as the loading bar is complete. Is there anyone who got past the loading screen? I made a factory reset on my galaxy s7. After install and data to obb and start the game opeing all track but same…not working. found a solution. clear cash and data, don’t start. go to settings>apps>asphalt xtreme and disable contact and location permission. start the game. say thanks. why do u guys upload worthless stuffs and make people fool? every time it says “online user profile loaded, game needs to restart”. the game requires update, how can i skip it ? Hi everything works fine but whenever i try tostart a race it displays”online user game needs to restart”.Please help me with a solution asap.I am not able race any location or with any car. Always says “online user profile loaded” or something when I try to play any race :( any way to solve this? Same problem here.If you get any solution then do help me so. RG? theres is a problem with my asphalt extreme when i connect it in google account it says cant connect but it always restarting and says account sync game will restart how can i fix that? RG Mod HIT for cucumbers’ sake! Thanks a million for the great service. I installed the original from Google Play and then replaced the data and mod. When I launch the game, it says a new version available. It gets stuck on Update screen. If I install the mod and obb, it still gives me the update screen. If it is the latest version, why is it asking to update. BTW can i use the obb file from the google play? lots of problem no cars unlock no fully upgrade cars and stack on age and gender and always restarting game when u notify by Online Profile Loaded game needs to restart.? 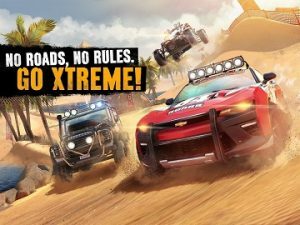 i cant understand the pre register do i need to download the asphalt extreme in the google play then register there or no need to fully download just start download the when it start cancel it then install the modded apk and obb file? how to fix the license error? and what’s happening to website it’s a little slow ?? Hello rg bro. Can u upload new 8 ball pool hack without root? There is so may hacks but they are not trusted. Pls rg can u do something for this game? 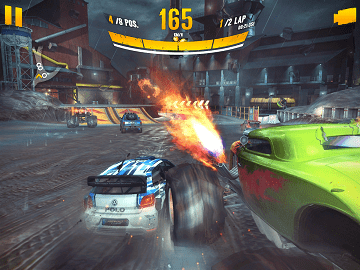 did you have any other game of ‘gameloft’ installed in your device? Game is working fine and all maps are also unlocked, but cars are still locked and we have to earn n buy dem ? 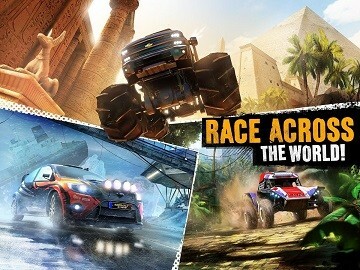 Please you can uload Asphalt 6??? all cars and career unlocked but cant play any of it. when i entered on first career it says me u need to have 6 star where i have 20 star. pls resolve it. mod for ver 1.0.8a not worked..all cars not unlock..please fix it.. I installed the game using the untouched apk. copied the obb folder in the obb directory. Waiting for the response. Cannot establish the server connection. Please try again later. Then the above process repeats again and again. Also I’m not able to install the mod apk. it worked on my dad”s moto g4 plus bt not in my moto g 3 ?? RG, can u give me link mod apk only? Rg can you update this game? Or i can still play in this version? any way to make it working begire the update ? nop i dont think so.check permissions from MANAGE APPS>AsphaltXtrme>Permissions>and allow them all then try. i am using the original version but still force close after the logo ?? try original version is it working fine for you? Perfect running. The mistake which i was done is i install apk and tried to download data from playstore which cause invalid license. But once i downloaded data from andropalace game is running smooth. Again big thank to RG. 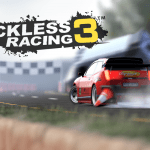 I have downloaded the previous version, and get the mod, but the car is not at max level. The mod just unlock all race level, how can i get that max level of the car RG? Mod not working.Make it work. Thanks. App not installed on marsmellow 6.0.1?? anyone can help me? Rg I installed the mod apk but when it takes me to age&gender it simply won’t let me get to the next part, helpp!!! Mod not working ? how to fix this RG? Im done with android games.They make only online and energy based games for money. 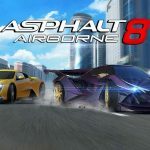 I know, it started long ago but asphalt 8 was THAT game.Offline, playable without paying(barely but playable).Im just disappointed.In 2011-12 the android games were the best, not at the graphic, those were full games not just like these-assassins screed identity:”We think android games doesnt need to have a proper story line, it will be more enjoyable with short missions”-They make even stronger phones but there are no games to play.I did stop playing these i’m just so fking disappointed. not install in moto x style.. But how to extract multiple files in same folder ? What’s the password for extraction? 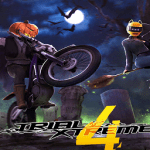 6)Remember this game is online If you have anything problem let me know in comments…. Game crashes after Gameloft logo. can i download data directly from game ? if game is available in playstore then you can download direct from game. other wise you cant download directly from game. you got invalid license error even your status show in playstore REGISTERED. online,, online,, online,,, and online,, always online again.. huh! please mod this game offline RG. thanks rg.work fine on my redmi note 2? Hi Rg, i have a request. Witch Spring 2 is out now, can you MOD it to offline? Workin fine on my phone.just follow rg instruction. RG what will be in the mod apk? need playstore link… other wise invalid license error..
this time i prefer normal APK to play multiplayer.